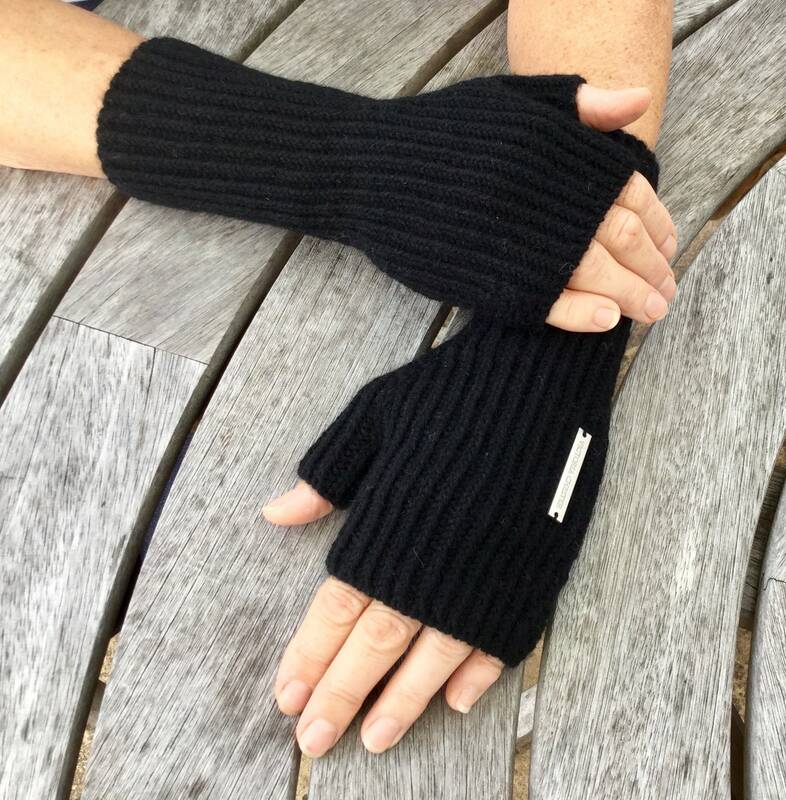 Stunning luxury pure cashmere fingerless mittens adorned with the exclusive 'Victoria Chester ' logo. 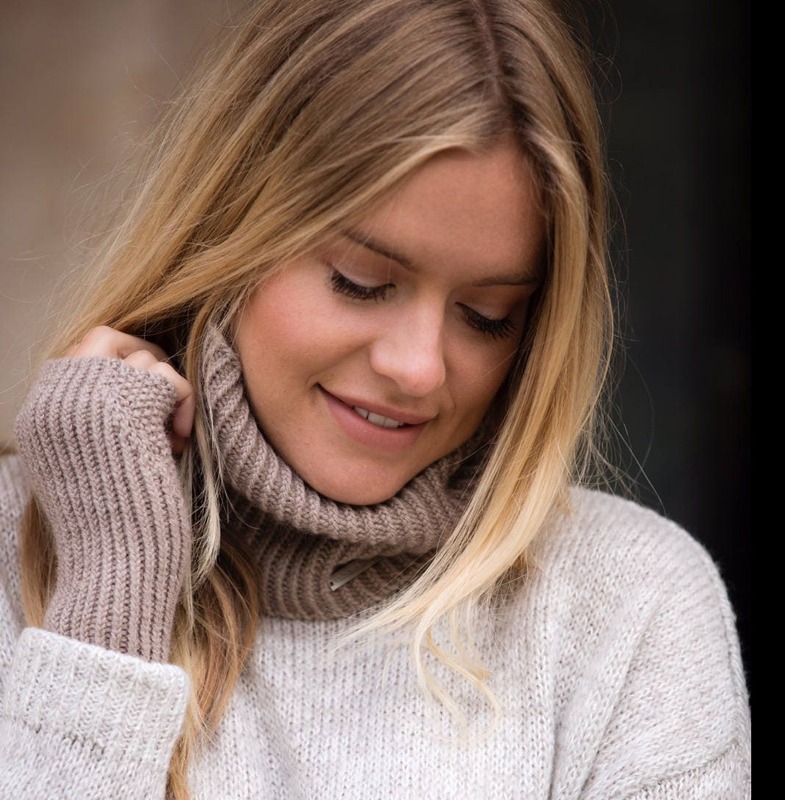 These beautiful handmade mittens are made using 6 ply luxury Mongolian pure cashmere and are the standard shorter wrist version. The lead picture shows the colour black. The pictures show the longer wrist warmer length; the standard length is approximately 5/6cm shorter. 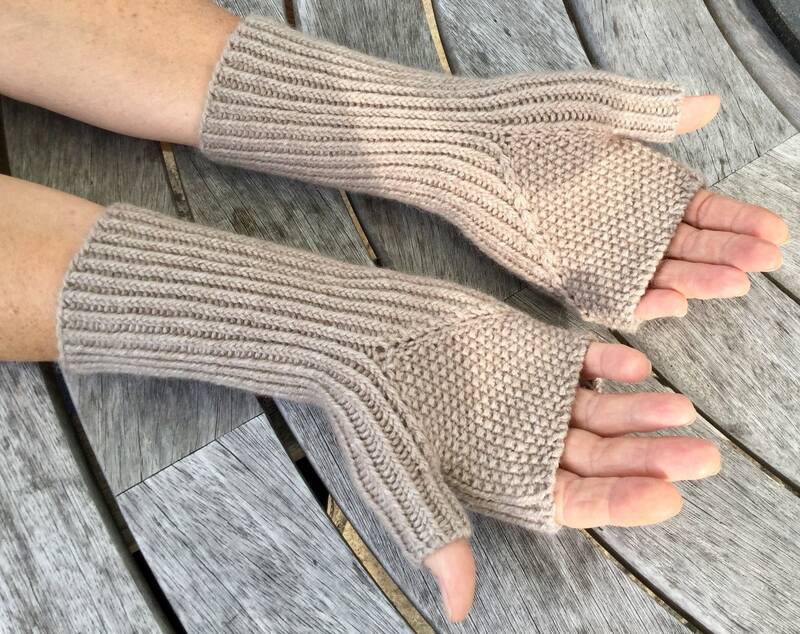 These luxury mittens are knitted with a reverse rib stitch which gives a nice tight even finish & are made by knitting on the round on four needles meaning there is no seam. The palm area of each mitten is done in decorative seed stitch to match the headbands. The left mitten is finished with the exclusive 'Victoria Chester' logo. 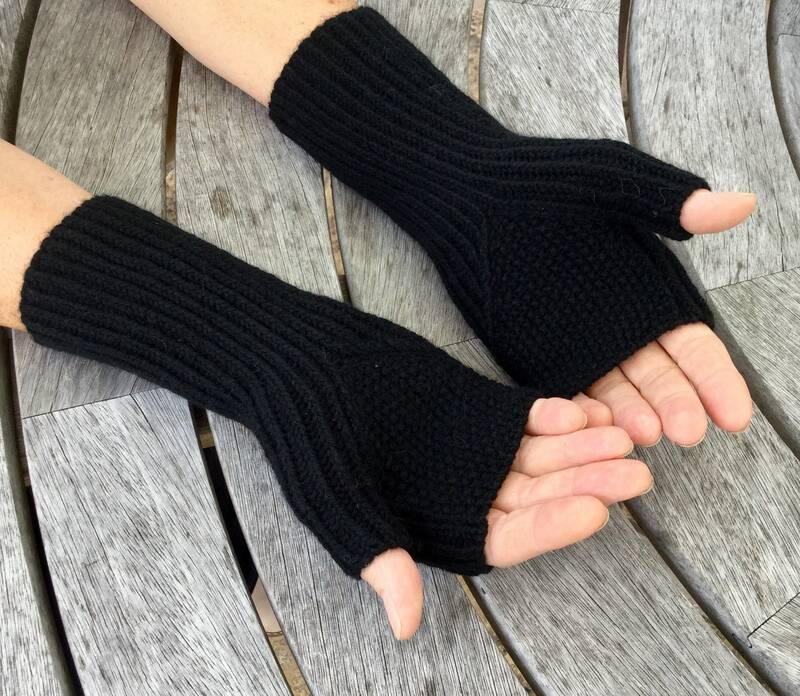 These mittens measure approximately 20cm in length & gently give to fit most average size ladies hands. Snoods, scarfs, headbands & hats to match are also available.